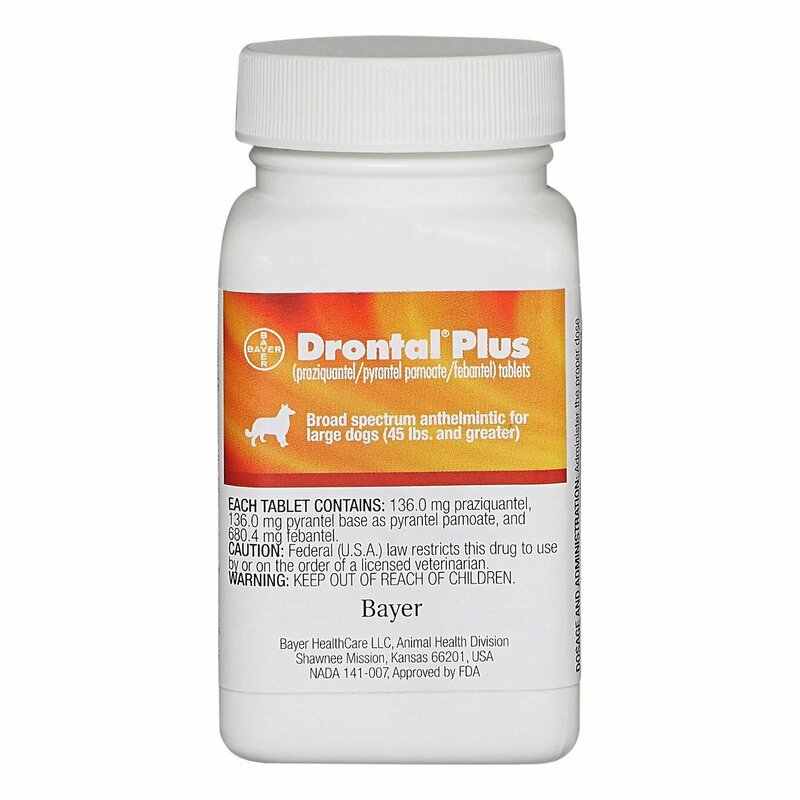 Drontal Allwormer for Dogs, a Bayer product is a chewable product that comes in liver and pork flavor. 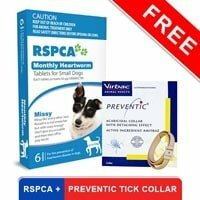 This easily chewable treatment protects the dogs from harmful diseases and prevents worm re-infestations. This oral treatment comes in a convenient chewable tablet form that the dog eats right up. You can give this treatment orally or mix it in his food. Praziquantel, Pyrantel Embonate and Febantel are the three active ingredients present in this deworming treatment. Praziquantel is quite effective against tapeworms. With the exposure of this active ingredient, tapeworm in the dog's body lose their position and are excreted out of the dog's body. Pyrantel Embonate works against hookworms by causing paralysis which aids in getting rid of these parasites. Febantel works against whipworms by getting swiftly absorbed and metabolized by the doggy. When the active ingredient is exposed to the worm its energy metabolism is blocked, thereby resulting in the energy exchange breakdown and repressed glucose uptake. Thus, the combination of all these active ingredients results in getting rid of these intestinal worms. 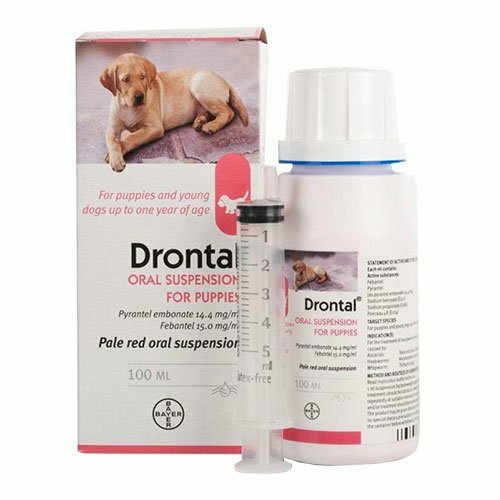 Drontal is one of the best worming treatments available in our country for the treatment of intestinal parasites. It is quite effective against tapeworms, roundworms, hookworms, and whipworms. 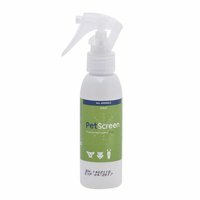 It is recommended for dogs and puppies over 4 weeks of age and over 2 lbs. in bodyweight. It is a single dose treatment that needs to be administered on a monthly basis. Due to its highly palatable taste it is very easy to give to dogs. P.S: One tablet quantity does not mean one bottle. Drontal tablets are sold loosely and will be shipped with pack insert in sealed polythene. Before purchasing Drontal weigh your doggy properly and then get the one with the appropriate pack size. Drontal needs to be given as a single dose. Dogs are not required to fast while treatment. You can administer it orally in the mouth of the doggy or mix it in the dog food. If you are mixing the dose in the dog food, ensure that the doggy eats the entire meal for the dose to remain effective. Avoid re-infestation by cleaning the dog stools. Tapeworms can infect humans, so it is important to maintain strict hygienic rules. 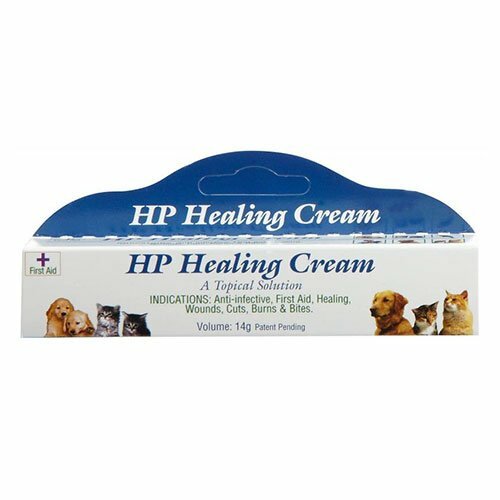 This product is strictly for veterinary use. 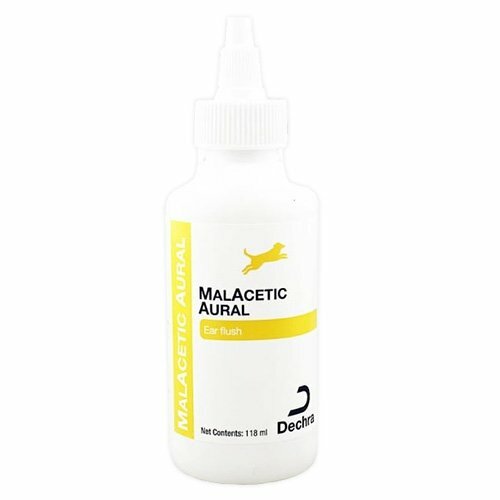 If your doggy is allergic to any of the active ingredients present in Drontal then do not administer it on dogs. If your doggy has already been treated with a deworming treatment, then take the prior consent of the veterinarian before commencing this treatment. Drontal Plus does really well to treats all major types of worms in dogs. I love this product. Drontal Plus has proven to be a potent wormer. 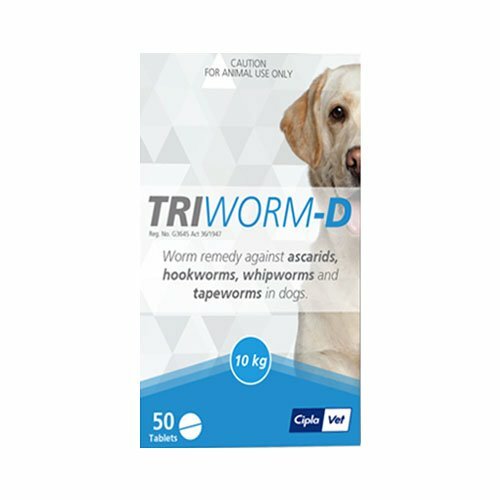 I have been using this product whenever any of my dogs are infected by intestinal worms. My pet had contracted heavy worm infection which resulted in bloody stool and itching in the hind area. On a vet’s suggestion who also happens to be my friend, I purchased drontal from budget pet care. It has really shown positive results. I am really happy with the service as well. It has not been a very long time that I started giving these tasty tablets to Jenna.. But ever since I started this treatment she hasn't shown any negative symptoms of intestinal infections. 57 of 72 found this review helpful. To secure the stomach of my dog and prevent and control the infections from happening again I started giving Drontal Plus tabs to my dog and it worked out for him pretty well. 0 of 123 found this review helpful.